You won’t want to forget these go-to’s! You don’t have to pack a lot when visiting Cuba, but you do have to pack smart. The island has so much to offer in terms of experience and interactions so you’ll run into no shortage of a good time—but modern day trappings are a little difficult to come by. To ensure you can enjoy Cuba to the fullest and appreciate all it has to offer don’t forget to pack these essentials that you won’t be able to pick up once you’re on the island. Once you’re on the island, you won’t be able to withdraw any money from your American bank account, so bring enough cash for the duration of your stay. The general rule of thumb is to budget $100 a day as the minimum. TIP: Gain an understanding of Cuba's dual currency system before you arrive. Day temperatures across Cuba are hot and humid but the sea breezes blow in cooler temperatures at night. It’s smart to have a light jacket or sweater and a pair of versatile cotton pants or jeans so you can stay comfortable as the temperature changes. Additionally, if you’re going to be in the city as well as the countryside and beaches, bring a pair of sneakers along with your sandals so your feet can stay protected on the cobblestone streets. You can pack everything you need in a carry on for your trip to Cuba. You’re going to be on a Caribbean island, and that means you’re going to be in the Caribbean sun. Make sure the sunscreen you bring is at least SPF 30 and is water resistant and long-lasting. Babo Botanicals Sheer Zinc Continuous Spray Sunscreen with SPF 30 is great for eco-conscious cosmetics users—while Avène’s Hydrating Sunscreen Lotion for face and body with SPF 50 can cover you completely and last up to 80 minutes in the water. It’s an absolute must. Mosquitos are all over the island and will eat you alive if you aren’t prepared. We recommend Deet to keep you protected from biting insects and the unfavorable illnesses they carry. 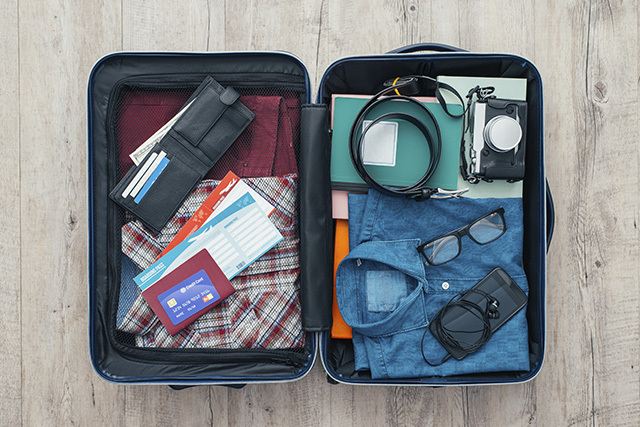 Be sure to bring enough for your whole stay and all your adventures while on the island, since locating and buying more once you’re in Cuba isn’t likely to happen. Gift giving is a tradition on the island and tokens of gratitude for your hosts and new Cuban friends are always welcome, no matter how small. Supplies for schools (calculators, pencils, markers, etc), clothing, toiletries, and small electronics are sure to be appreciated. If you are asked by Cuban customs officers what your extra supplies are when entering the country, just be honest and say they’re gifts for friends and you shouldn’t run into any problems. Now that you have the essentials covered, it's time to start planning your trip to Cuba. Request a brochure and view our cuba tours today.